We are a non-profit organisation who has been chosen by teachers, trainers, and Organisations of energy healing modalities to be responsible for their accreditation, assessments, and quality of service. To uphold the Codes and Ethics and the aims of the Energy Healers Organisation. To pay R1900 for association registration & R50 per member (dependant on the training level of the member, trainers get a discount rate for new members registered through the EHA) per annum towards the costs of the Energy Healers Organisation’s role as the Industry Body in the qualification of 532906. Please make your payment as follows: Energy Healers Organisation; FNB; Account 62339114902; Branch Code 203809; Reference with the name of your organisation. Then email admin@energy-healers-association.org with proof of payment, plus full details for your receipt (name of organisation, address, etc) and we will send you your Invoice/Receipt for your records. To help with joint efforts, such as fund-raising and awareness-raising, and co-operating in order to keep costs as low as possible and standards as high as possible. To keep the Energy Healers Organisation’s management committee aware of any issues that require attention, so that your organisation can get the best out of this agreement. To initial each page of this document and sign at the bottom, scan and send to admin@energy-healers-organisation.org , whereupon, The CEO of the Energy Healers Organisation will initial each page, sign at the bottom, scan, and send back to you after proof of Payment is provided and the funds have cleared. Recognised Quality Organisation – for the Recognised Quality Organisation and the agreed fee perAssociationsSLA3.4 with the Service Level Agreement to be signed, if your association has any changes please highlight them. 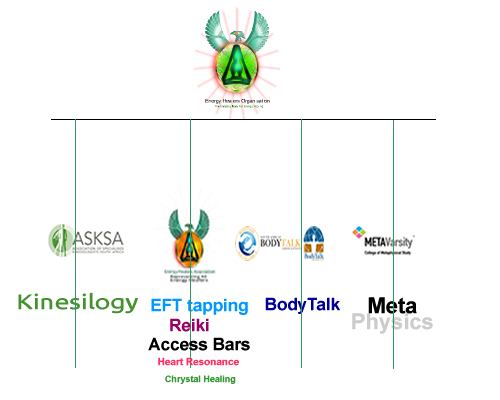 We are a non-profit organisation who has been chosen by the premier organisations of all energy healing modalities to be responsible for their accreditation, assessments, and quality of service & soon throughout Africa and elsewhere. We started the process way back in 2008 and have succeeded in getting Government recognition and support for the modalities. We are also a group of people who wish to get the benefits known about how energy healing (as defined below) plays an increasingly important role in the improvement of every day ordinary people’s lives. Recognition by the public that your members are of the standard accepted as of being of high ethics and quality of service. Knowledge that your practitioners have the highest ethics and practice accordingly to protect the privacy of the client relationship. As you sign the codes and ethics, you will have the knowledge that your practitioners and members can trust the service your members provide and that your practitioners and trainers have high regard and respect what you provide in terms of service levels and know how. if you wish to apply to be a Learner healer, practitioner, Master Practitioner/Trainer please use this link. Reference: your email address, or as much of it as you can fit in. And then email admin @ energy-healers-organisation.org with your proof of payment and either send your documents above by post to the address on this letterhead or scan and email. We have been chosen by the majority of energy healers in South Africa to be the body that takes care of their qualifications and represents them with SAQA for a particular internationally recognised qualification to be developed and be the Industry Body. If you are part of an energy healing organisation, we would love to have your organisation on board. To enquire about a practitioner in your area or training in energy healing, please use the contact form with your enquiry and one of the team will get back to you within 24 hours. The Energy Healers Organisation will soon be in the process of building a national database of practitioners from all the RQA members for verification purposes, until that is completed please use the link above.